The Waitlist facility in the booking system allows members to register their interest in weekend or other non-standard bookings earlier than when bookings open 19 days prior to the start date. To make it easier and fairer to make weekend and other non-standard bookings, procedures for the Waitlist facility in the booking system has been reviewed. Each member will be allowed to submit up to 3 waitlist requests for the season. The booking officer will delete surplus requests. Use the comments field in the booking to express any priority between your bookings, eg if one is more important because it is for a special event. If a booking includes multiple members, it will count as a waitlist request for each individual member (eg if a couple who are members request a weekend, it counts as a waitlist request for each of them). Payment is due immediately when a waitlist request is approved. If your waitlist request cannot be met, you will be eligible to make another waitlist request. The CBDWEB booking system was introduced in 2018 and members found it much simpler to use. Please try it to check lodge availability and make bookings. From 1 February make winter bookings online. Summer bookings can be made online at any time. If you are booking for June/July Victorian School Holidays, there are special provisions in the online booking system. Booking requests will be accepted until 15 March without reserving any beds. The Booking Officer will then allocate beds in accordance with AAC priority policy and advise members of whether they have been sucessful. Read that section of the user instructions carefully. User Instructions will guide you through how to check occupancy and make a booking. Normal booking rules apply and will be enforced by the Booking Officer, even if the online system does not enforce them. A booking is not confirmed until payment is verified and you receive a confirmation email from the Booking Officer. Off peak from 10 June to 29 June 2018 and from 1 September to end of season. Season opening weekend at Summer rates. Peaks Challenge bicycle event weekend (8-10 March): min 2 night booking. Per night: Members $70, AAC $80, Guests $90. Contact booking officer for details. Book early. Summer rates apply at all other non season times. Members & guests under 18 years must be accompanied by a responsible adult. Children under 17 years old at time of stay are charged at 50% adult rate. Children under 3 years old at time of stay are free-of-charge. Week is seven nights: Sunday to Saturday nights. Mid-Week is five nights: Sunday to Thursday nights. Weekend is two nights: Friday & Saturday nights. Included in tariffs: Full cooked breakfast in winter peak season and continental breakfast in off-peak season. Bed linen and towels are provided and rooms cleaned on departure during ski season only. Bookings during peak winter season of more than two continuous weeks and large guest group bookings are subject to Committee approval. 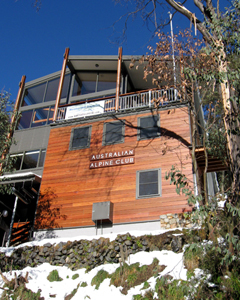 AAC Falls Creek Race Week Sunday 28 July - Saturday 3 August. 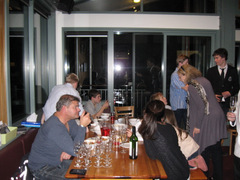 Race Weekend 2-3 Aug, with Race and Dinner on Saturday 3 August. Bookings may be submitted earlier, but cannot be confirmed till bookings officially open.